When most people think of eating a healthy, well-balanced diet, they usually think low-fat. While it's important to not overindulge in fatty foods, too much sugar can be harmful as well. It helps manage weight: Food items that are high in sugar are also often high in calories and lack good components such as vitamins or minerals. Since sugar affects blood glucose, it can actually make you feel more hungry, leading you to eat more than you should. Cutting back on sugar can help people lose or maintain their weight. It's addictive: Like other substances, you can become addicted to sugar. The body craves it, and if you don't have enough you can have a withdrawal with headaches and other unpleasant side effects. 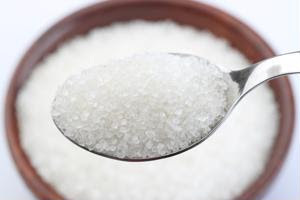 Consuming less sugar can deter the addiction and help your body desire healthier foods. It makes you tired: When the body is using the wrong nutrients to fuel itself, the result can be constant exhaustion. Switching to a healthier diet will provide you with more energy and improve body functions.